I’m look for like minded people that can feed me more on the spiritual realm of seeing more of what God see. Past what we see . I’m more how to be more in tuned with what’s. going on around me that is unseen and obedience. That sounds more like something God chooses to give or not give, rather than some trick to learn. But, really, our capacity to see Anything how God sees it is almost nil. We can interpret what we know filtered through our limited human capacities, but even then we can't fully grasp it how God would. Anything beyond that would seem to be directed by God according to the part of "the body" we are called into. Many Christians become hyperfocused on less important issues that they feel makes them somehow more special, while neglecting the day to day walk that is the core priority. So I'd suggest such interests should be minimized until/if god decides to grant you a gifting in that area. If you aren't even living up to the core tenants why would He grant you more? I even remember seeing this in action years ago. A time when I was younger and more outspoken about my faith and sharing it more freely. I found myself in tune with more areas I wasn't even trying to learn, such as discernment. And as I got away from those core principles I began not being in touch with those things as well. Welcome to CC! I believe all of our goals is to see things as God sees it. We all fall short of His glory though, but doesn't mean we can't try! The Bible forum can help answer any questions you have..
"My Spiritual journey began some two decades ago, by the grace of God. helps one to acquire a spiritual 'awareness'...for without it may be confusing. A God consciousness shall be essential." Don't be like me and say: "No" "Not yet!" To which He gave me some "years", of living life my way. And, when He called again? I gave the same answer. Which He gave me some more years. Finally, I answered His "call!" Changed my life, it did! So! Not to worry! Should God call you? He'll keep calling! Welcome to the CC forums, btw! 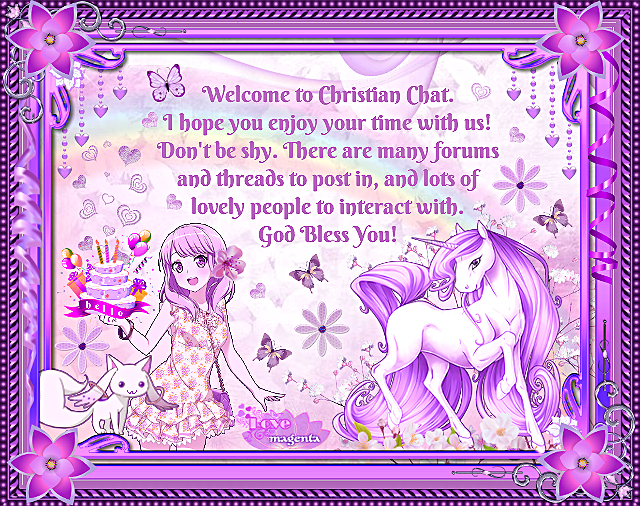 A warm welcome to CC and so nice to meet you! Yes, the Word says we have the 'mind of Christ' and 'the Spirit will show us all things' Jn 16<13. Glad you found us, God bless! Perhaps you will find like-minded peeps on this site like iron sharpening iron. Looking forward to in spiritual insights you may wish to share. Glad to have you as part of our community. Welcome to CC. Hello GeeBagley, welcome to CC. I hope you'll enjoy your stay here.